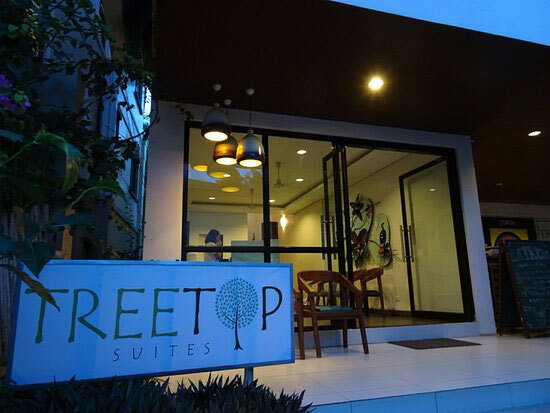 Treetop Suites is a fresh perspective on boutique hotels, designed with clean, efficient lines and set in one of the best locations in town- Real Street. 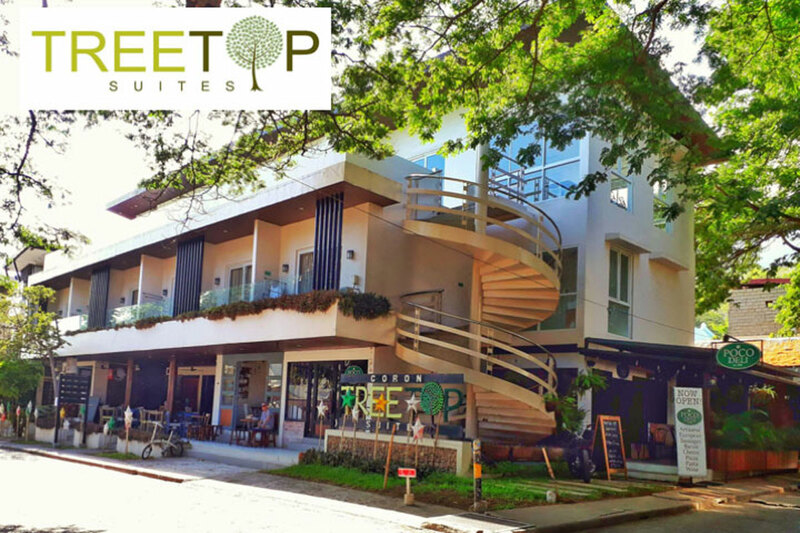 A 2018 Traveler’s Choice awardee, it is the most recent addition to the Calle Real Group of Hotels. 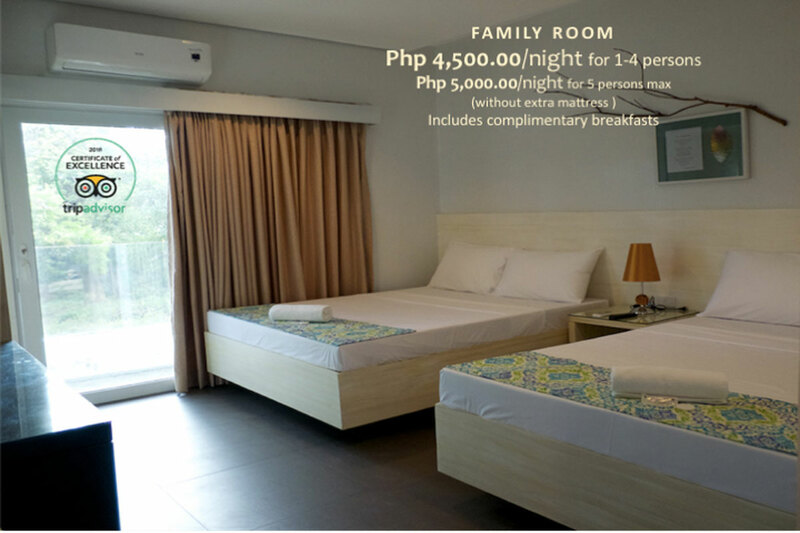 There are 6 Standard rooms each with 2 single beds and 6 Family rooms each with 2 queen beds and a private balcony. 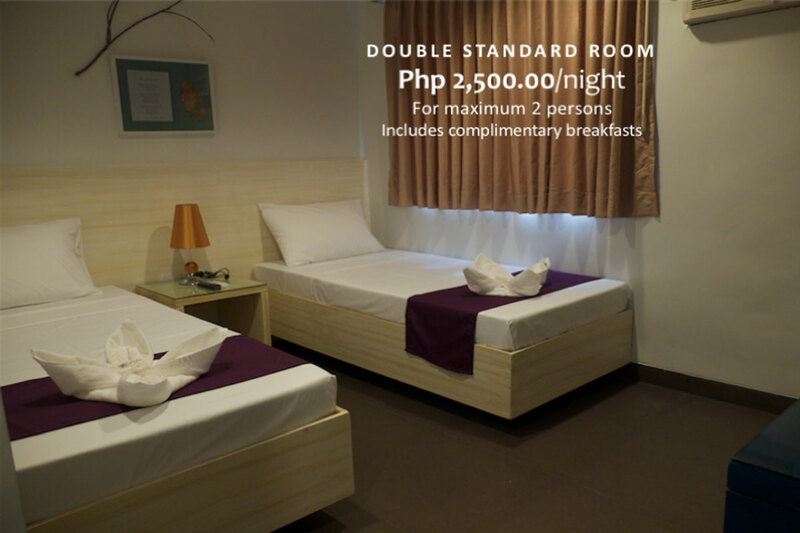 For the discriminating traveler looking for just a little bit more, we are pleased to offer our 2 Premium Family Rooms. 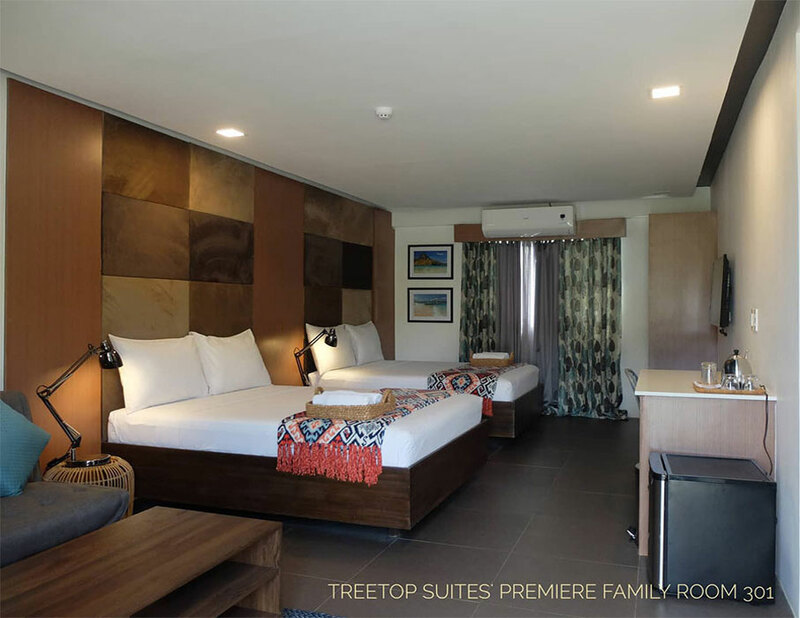 While all Treetop rooms are air-conditioned, with en-suite toilet and bath with hot and cold shower, cable TV, safety deposit box, 24/7 generator back-up, free-flowing coffee and use of the lounge pool for the duration of one’s stay, the Premium Family Suites has all these and more. 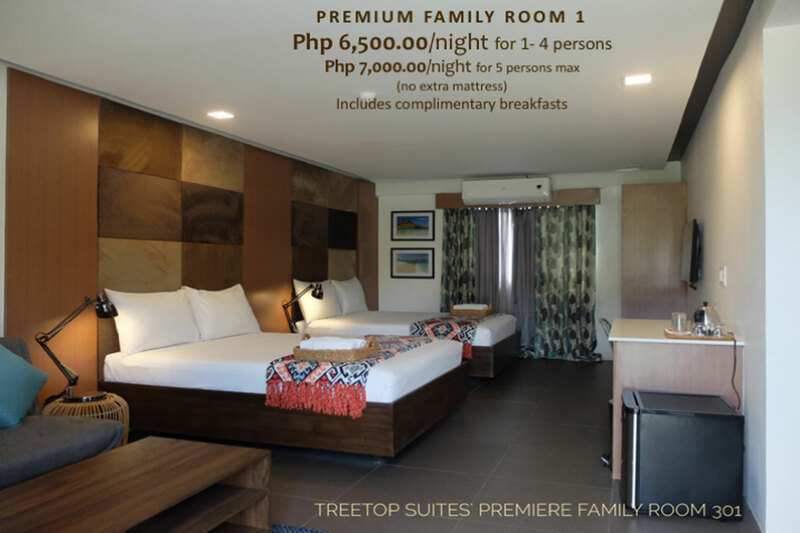 Guests for the Premium Family Rooms located at the roof deck have a more private space away from the rest of the guests whose rooms are all located on the second floor. 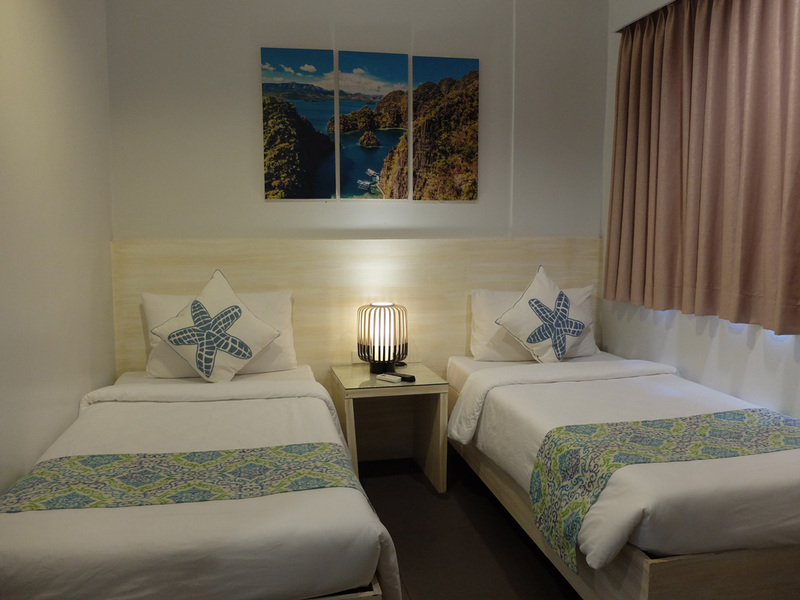 This allows for a wider room space furnished with separate shower and toilet spaces, a cozy living area, extended counter/work area, a mini refrigerator, electric water kettle, safety deposit box and stylish, relaxing interiors all around. So whether you wish to keep it simple or level it up a notch, we’ve got the rooms for you! 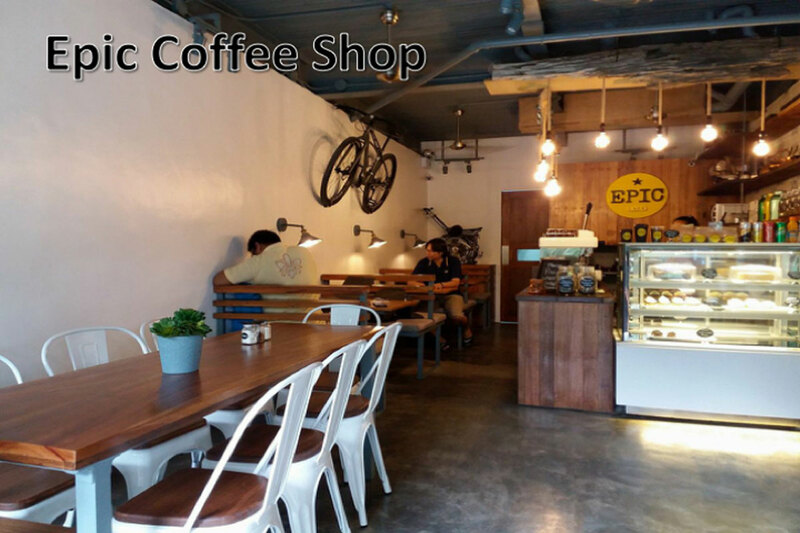 And once you step out to enjoy the town, you’ll find that you have the best spot to enjoy your stay. 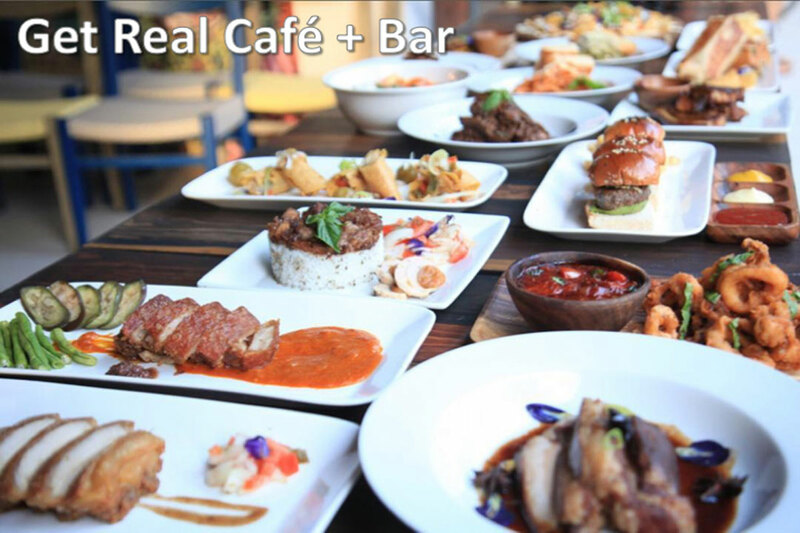 Considered the High Street of Coron Town, Calle Real has that charming, laid back vibe with 5 dining establishments to choose from – Epic Cafe, Get Real Bar and Poco Deli Restaurant at Treetop’s ground level, as well as Los Guapos Cafe and Calle Real Bistro. 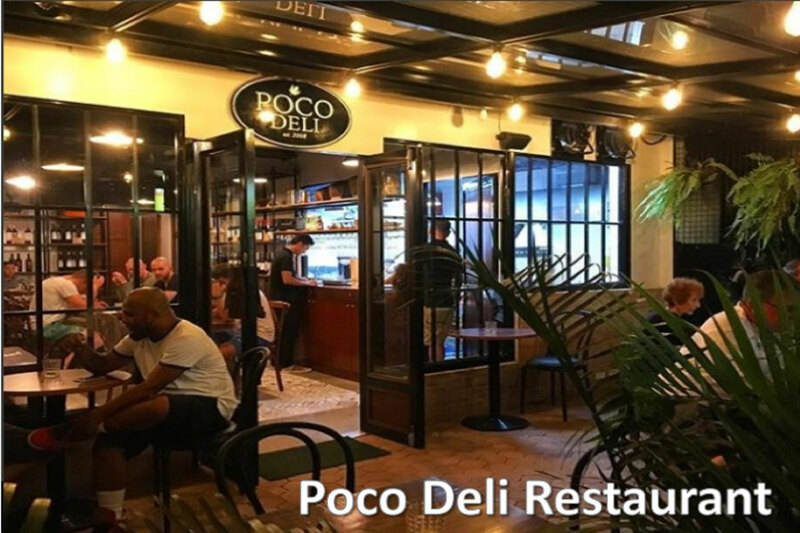 At night, guests, locals and other tourists keep our part of Real street busy and interesting as they enjoy the wide range of dining choices available. 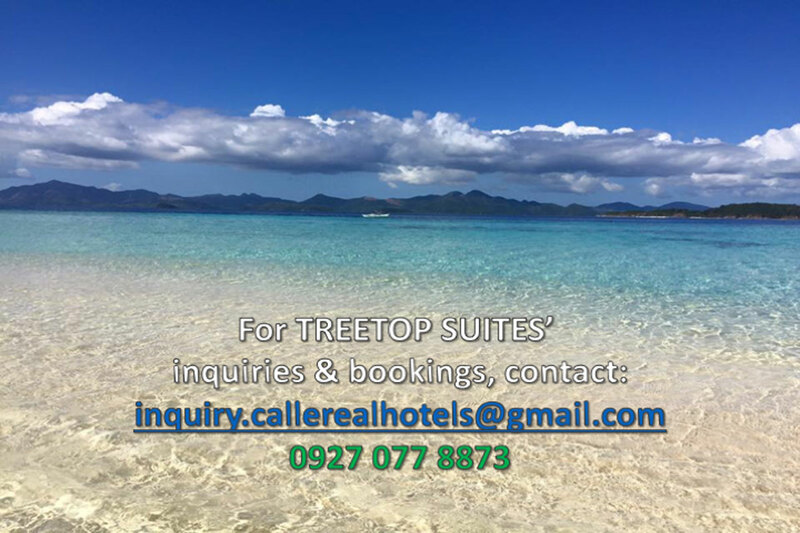 Come morning, you can also check out the Stand Up Paddleboard Hut just across the street for a unique way of exploring Coron’s attractions. 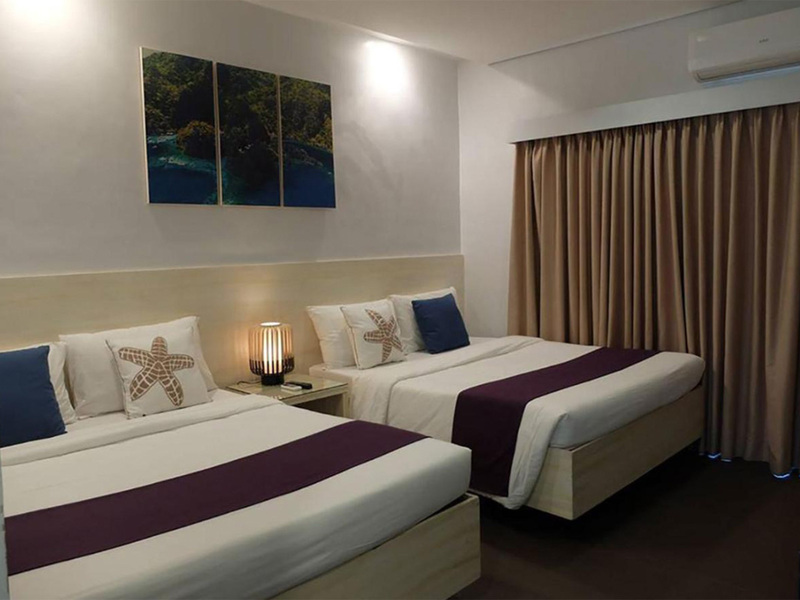 Key areas and establishments like ATMs, drugstores, conveniences, tour operators and dive shops, souvenir stores and spas are all just a few minutes walk away. 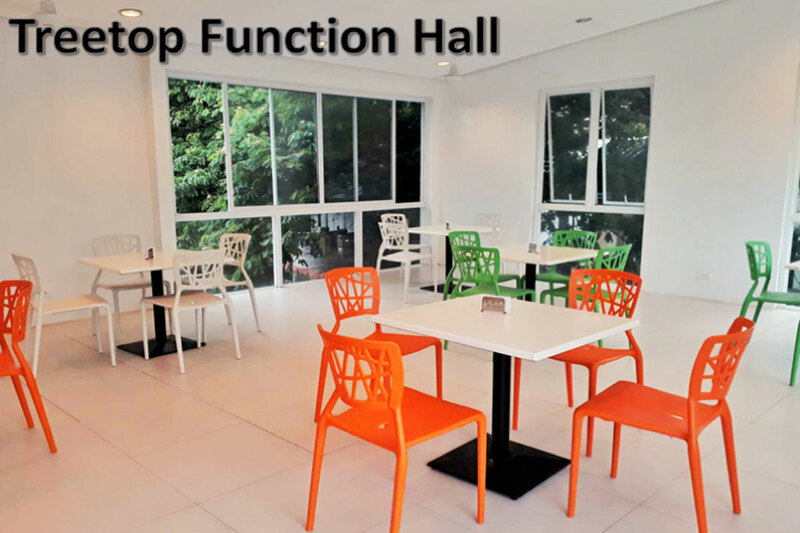 The hotel’s Function Hall located at the roof deck may be booked for your meetings and events. 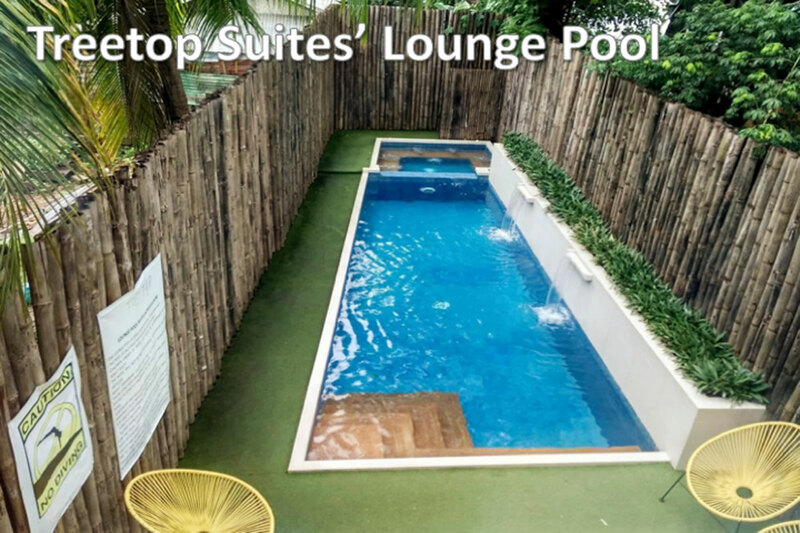 And if you wish to extend your leisure after a day island hopping, you can relax at our Lounge Pool with a jacuzzi to soothe all the cares away. 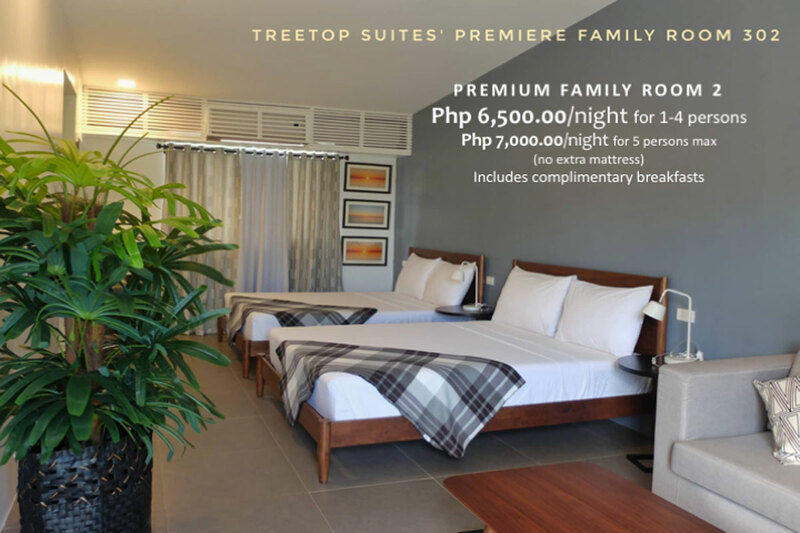 There’s much to commend and enjoy at Treetop Suites. Feel free to ask for a package today by filling in the form at the Inquiry form or just send us an email. We’d be happy to answer any questions you may have. We do hope to welcome you here soon!